In 1950, Fairfax County, Virginia, was ninety percent white, ten percent African American, with a little more than one hundred families who were 'other.' Currently the African American percentage of the population is about the same, but the Anglo white population is less than fifty percent, and there are families of Asian, African, Middle Eastern, and Latin American origin living all over the county. A Nation of Nations follows the lives of a few immigrants to Fairfax County over recent decades as they gradually 'Americanize.' Hailing from Korea, Bolivia, and Libya, these families have stories that illustrate common immigrant themes: friction between minority groups, economic competition and entrepreneurship, and racial and cultural stereotyping. 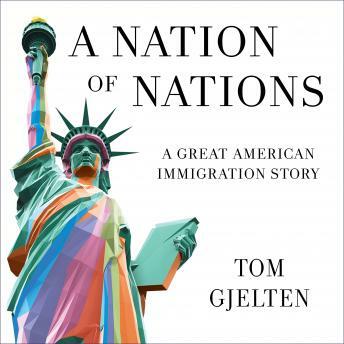 It's been half a century since the 1965 Immigration and Nationality Act changed the landscape of America, and no book has assessed the impact or importance of this law as this one does, with its brilliant combination of personal stories and larger demographic and political issues.